Seed sowing is a wonderful way of growing new plants, saving money and also choosing exactly which plants you want to grow and enjoy. 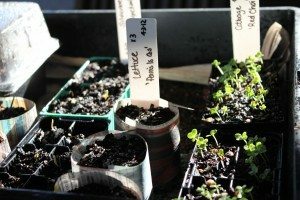 I find it a relaxing and rewarding part of gardening, especially when all the seeds sprout! 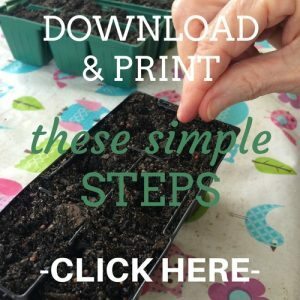 These are the simple steps that I take when sowing seeds to ensure I have a high germination (sprouting) rate and good strong plants to use in the garden. Ready to get started?? Have all your equipment ready to go. quality seed raising mix - this is a soil blend suitable for seed growing. 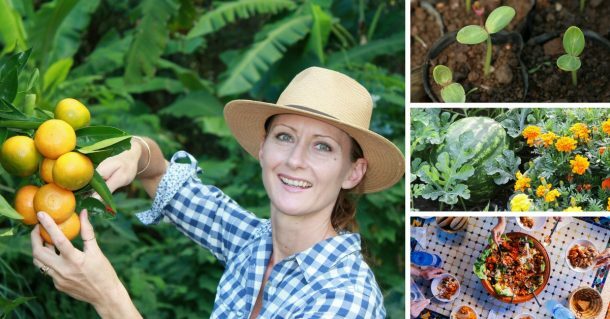 plastic pots, punnets or small recycled containers - I’ll show a few examples in video! a selection of seeds - choose plants that are suitable for your cliamte and growing in the current season. plant labels - small plastic labels or re-use cut up plastic milk cartons or bottles. a permanent marker - to write on labels. hand water sprayer - adds moisture to seeds. seedling tray lined with damp newspaper to store punnets and pots in. I sometimes use a cover over the punnets to create a warm and moist climate for seeds to germinate in. 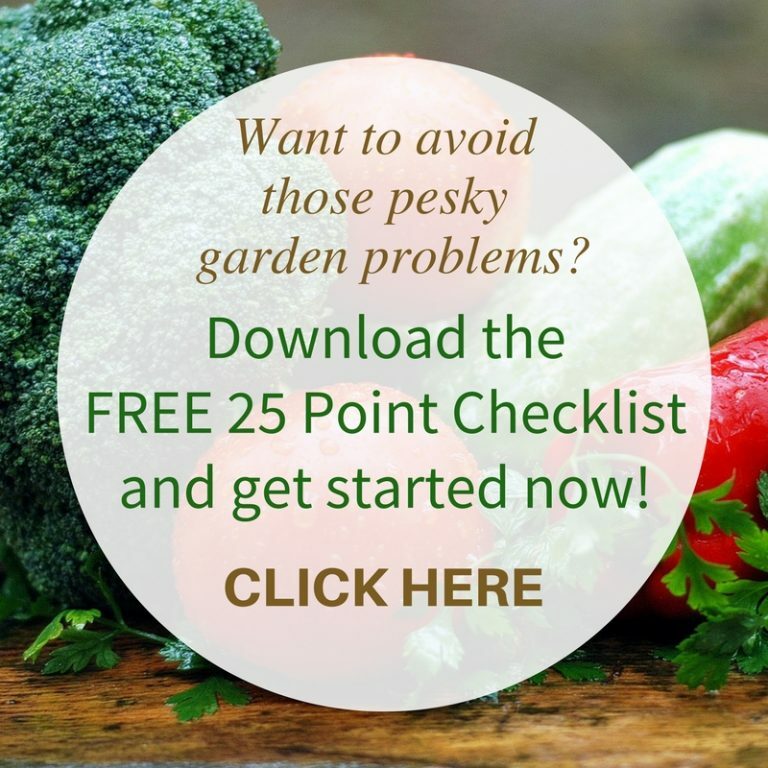 It also protects the seeds from rats and other little critters. They cover is helpful, but not essential. 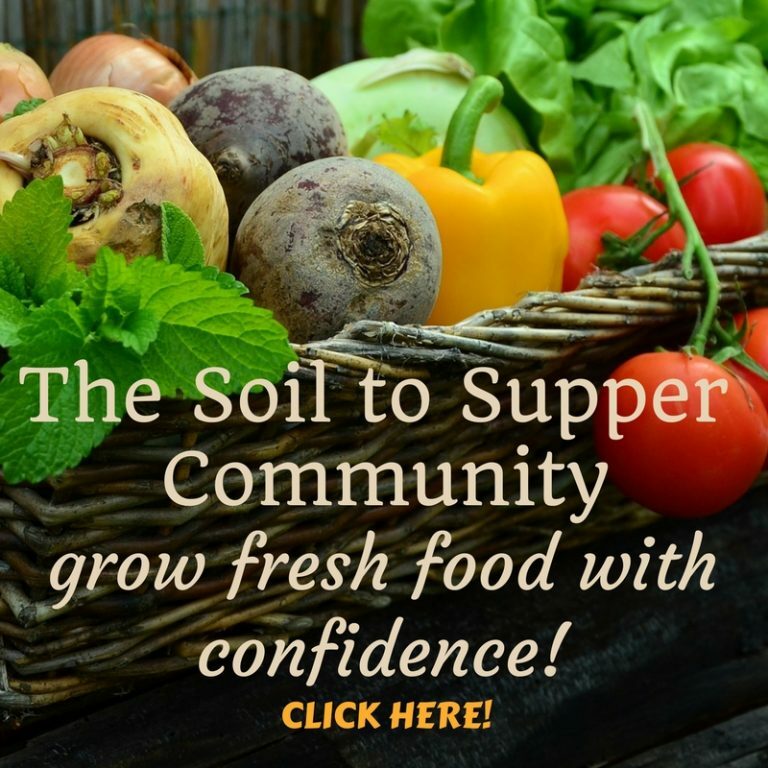 TIP - Use a high quality seed raising mix, which can be purchased from hardware stores and garden centres (try to find organic options) or you can make your own using 8 parts sand, 1 part peat moss or coco fibre and nutrients (small amount of blood and bone or crushed manure pellets). There’s many options for containers to sow into including plastic punnets (4, 6 or 8 cells), small tube stock pots, jiffy pots, coco pellets, recycled containers, eg yoghurt containers, egg cartons, toilet rolls or old plastic drink bottles (add drainage holes). If mixture is dry then spray lightly with water. Have a look at the different seeds as all seeds vary in size, shape and colour. Large seeds can be sown into a larger pot or directly into the ground. Fine seeds can be mixed with a small amount of growing mix in a small container. This mix is then sprinkled over the filled pots, using your fingers, as the sowing method. Medium seeds will be placed directly into the filled pots. 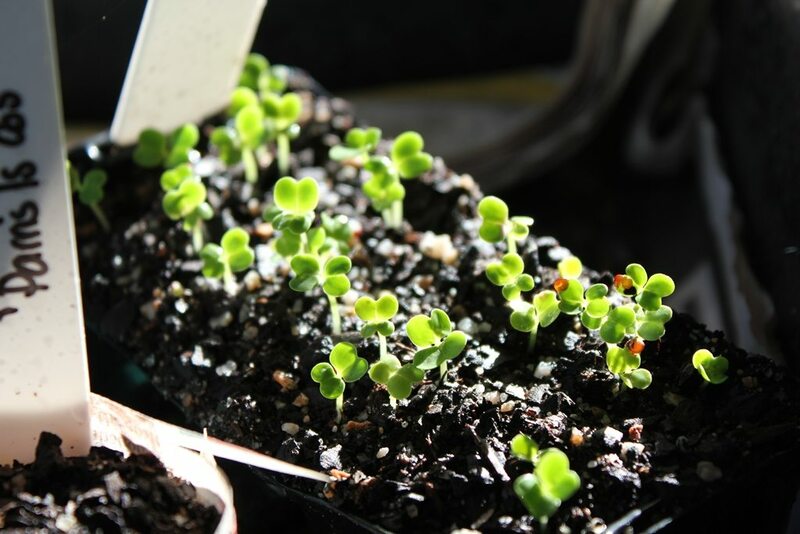 Usually one seed per pot/cell is enough as you don’t want to overcrowd the seedlings. Using a small stick (toothpicks work well) make a small hole in the mix slightly larger than the seed. The seed is to be sown the same depth as the seed width, eg for a seed 2mm in size, sow the seed 2mm deep into mix. Place seed into the hole and gently cover the seed with a small amount of growing mix. Here I’m placing seeds onto raising mix. Use labels for each seed type sown, record how many punnets or pots of each one and also the date they were sown. This helps to keep track of the time frame for germinating. When watering seeds use a hand water sprayer as it’s important not to disturb the seeds once sown. By spraying a fine mist of water you’re adding enough moisture for the soil to absorb without drowning the seed. Only use water at this stage as seeds contain enough nutrients to germinate and grow to the first 2 leaves. If you’re using a propagating cover place this over the seedling tray and then place the tray in a shaded and warm location. Some examples of this are in a greenhouse/ shadehouse, under the shade of a tree, on a windowsill or on a patio/verandah within close reach. The growing mix will need to kept moist, not soaking, at all times so keep the trays close to your home for easy access each day. If not using a cover you may need to spray trays morning and afternoon. This is something that you will have to monitor during the germination period. The time between sowing the seeds and germination will vary. Have a read of all instructions and information provided with the seeds to understand germination time. Once seedlings appear and have the first small leaves add a small amount of liquid fertiliser to the water sprayer. I suggest kelp, seaweed solution, worm juice, comfrey or compost tea, but only a very weak mixture. Spray the leaves and growing mix daily with this mixture to help the plants to grow strong and ready for transplanting into the garden. 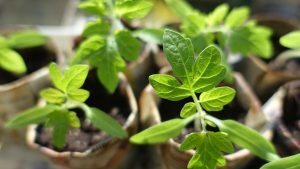 TIP - The seedlings (baby plants) will be ready for planting into your garden or a larger pot when they have 6 or more leaves or when strong and healthy looking. 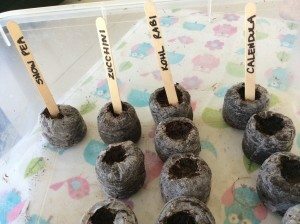 I hope you try these methods for sowing seeds and have much success with your new plants! 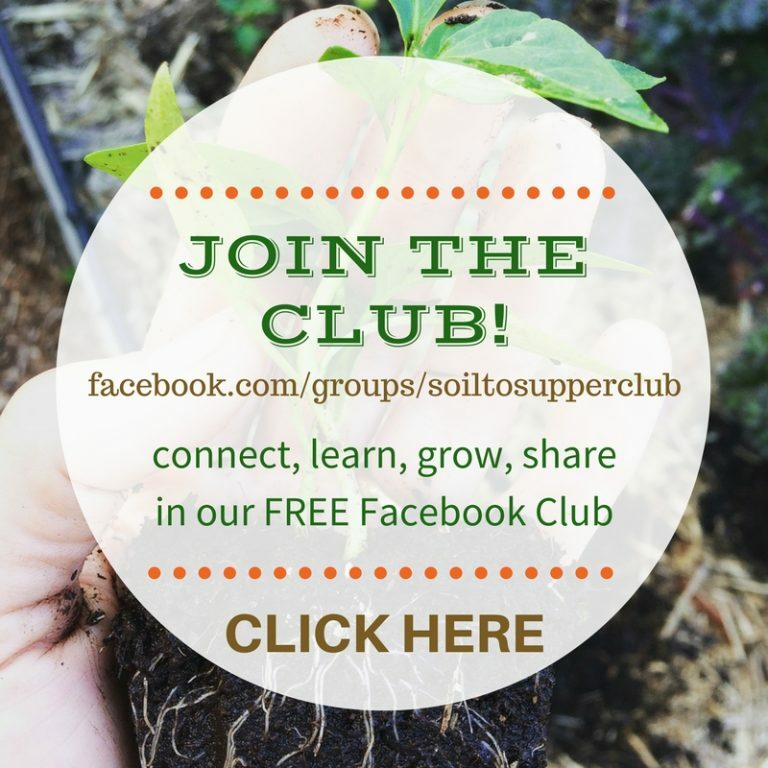 This is a fun and rewarding way of teaching children how to grow as well, so get the kids to help you with this and soon you’ll have many plants to enjoy ! !